Cabbage-Juice Chemistry | Project | Kids VT - small people, big ideas! You don't have to leave your kids' science education up to their teachers or after-school-program leaders. There are lots of fun experiments you can do at home to encourage them to develop their skills. This project, for example, uses cabbage juice to teach kids about chemical reactions; we use it as a lesson about acids and bases at the Montshire Museum of Science in Norwich. Cabbage juice is an indicator of pH, and it will reveal whether a chemical is an acid or a base. Cabbage juice turns pink when you add an acid, such as vinegar. It turns blue, or even green, when you add a base, such as baking soda. A chemical reaction occurs when an acid and a base are mixed together. Don't worry, the actual chemistry isn't that important to explain. The most valuable part of this activity is being able to experiment and see the results. Making and recording observations and putting items into different categories — pink or blue — are key scientific skills. Rather than tell the kids what results to expect, ask them at each step to explain what they think will happen. Use simple questions and prompts, such as: "What do you think? Let's try. What do you notice? Show me. Can we do that again?" They'll enjoy the process — and that's the point. Prepare the cabbage juice: Chop the cabbage into a few pieces. Pour boiling water on the chopped leaves and let steep for 15 minutes or so, then pour off the purple liquid. The liquid is what you need for the experiment. Use a turkey baster to fill a couple of wells of the ice-cube tray about halfway with cabbage juice. You can use bowls or cups instead, but the ice-cube tray will allow you to do a bunch of different experiments side by side. Add a splash of vinegar to one of the wells that has cabbage juice in it. What happens? Add a little baking soda to another of the wells. What happens? 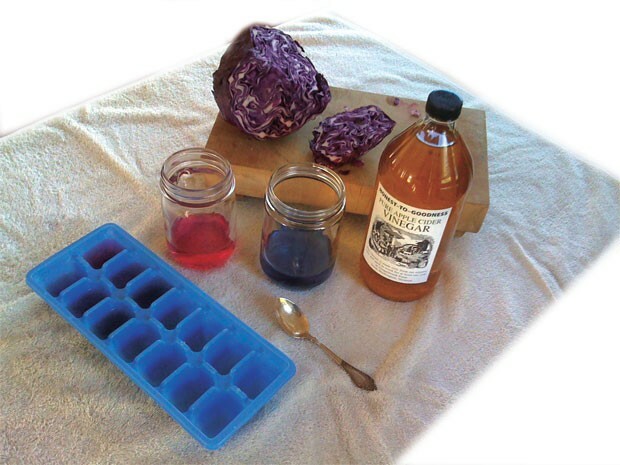 Try more experiments: Pour cabbage juice into another empty well and add vinegar and baking soda. Do you observe anything happening besides a color change? Can you make the cabbage juice turn purple again? Can you turn the blue cabbage juice pink? Test different items from the fridge and pantry, such as juices, dishwashing soap, milk, baking powder and soda. Keep a list of what you test and your results. 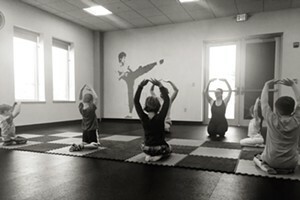 Looking for more activities like this one? Check out pbskids.org/zoom/activities/sci/.